The summer top for the girl has to be bright, easy and air. The connected by the hands, such topic will become darling at your girl. 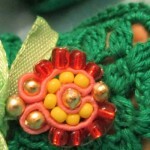 We represent a master class in knitting of such model with the detailed description of each step. The openwork hat connected by spokes — is useful in the cold summer evenings. 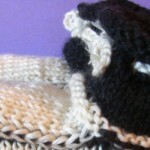 We present to your attention a master class in knitting with ready schemes and detailed photos. Panama - an integral part of female summer clothes. This accessory will bring in your image of romanticism. 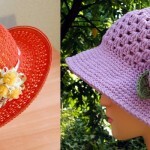 Connect a hat the hands by means of our master class, so you realize all the ideas of summer fashion. The romantic easy jacket connected by spokes will become an excellent new thing in summer clothes of any woman of fashion. The openwork jacket perfectly looks with shorts, a short skirt or easy trousers. 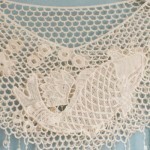 The natural cotton yarn soft and pleasant to a body, allows skin to breathe and well protects from a summer heat. We present to your attention a master class with the step-by-step instruction and the detailed description of the difficult moments. 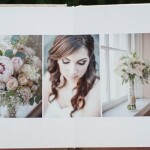 Wedding album – an integral part of a big celebration. It not simply the photobook in which pictures from life of the young are located. The wedding photo album is the whole history of the bride and groom which begins long before a wedding, and proceeds for many years after it. The openwork vest connected by a hook - an integral part of female summer clothes. He adds to an image of grace. Process of creation of a summer vest quite simple also does not demand serious skills of knitting. Detailed photos and the instruction of our master class will help to understand the difficult moments. Only your desire and not enough time is necessary. We represent a master class in knitting of bootees with a photo and video. Summer bootees a hook "The green fairy tale" - magnificent option for your kid. They perfectly are suitable for walks in a hot flying weather. At the expense of a natural yarn of a bootee breathe and are hypoallergenic. The unique openwork pattern will approach any dresses and the baby's jewelry. As we knit summer bootees, the yarn is necessary thin, and knitting has to be with the maximum number of holes that the leg of the child did not sweat in such "obuvka". Not easy to connect a bolero the hands even for the beginner. 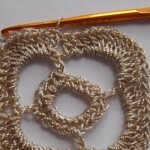 Schemes of knitting and assembly of this product are very simple performed by. In this master class we knit a hook an elegant golden bolero which will decorate clothes of both the young girl, and the adult woman. density: 30 columns in 13 cm.